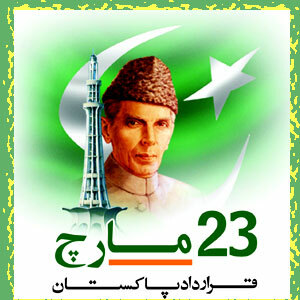 Today on 23 March People of Pakistan are celebrating Pakistan day. On 23 March 1940 almost 70 years ago Muslims of Sub-continent decided to Make their own Country Pakistan where they can live with freedom . On 23 March 1940 Pakistan Resolution was passed in Lahore Minto Park where now Minar Pakistan is build. After passing this resolution of Making a separate country for Muslims where they can live with freedom Muslims got a separate Land in shape of Pakistan after hard work of 7 years and giving million of sacrifices on 14 August 1947.